This neat tubular battery from PANASONIC comes with a lockable holder to secure the battery to the bike frame and cable to run to motor controller. Click here to see an installation video using this battery. 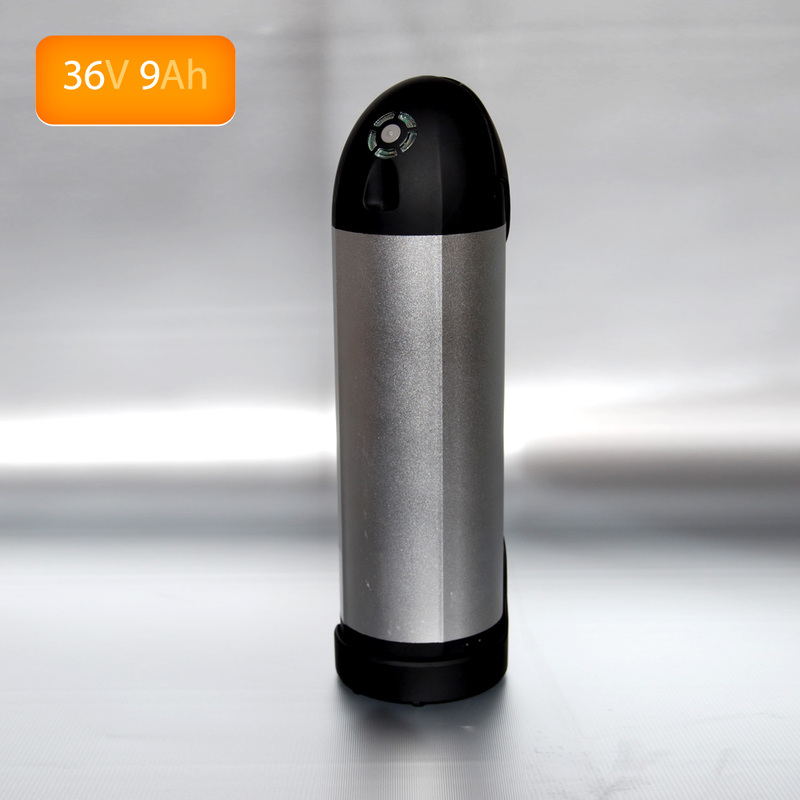 It is one of the most popular batteries due to its ability to run high power motors up to 600W and its ease of installation. It provides a range of approximately 30-50km with the 200W mini-motor kit.